People love playing sports — people prefer to play sports and parents want their children to engage in it s than video games since it is a healthier practice and it keeps you physically active. 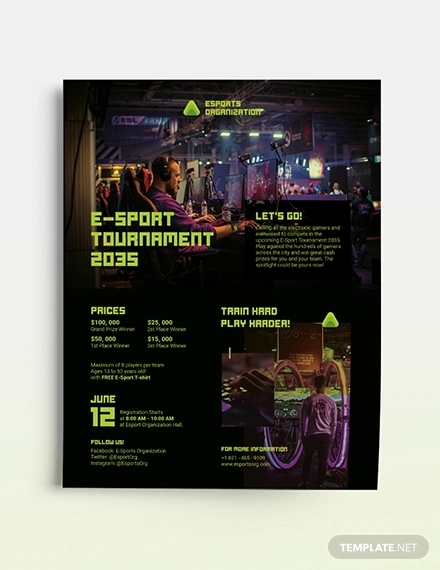 When you are holding events related to sports such as tournaments, training sessions, or try-outs, you would be required to do some advertising to be able to gain participants. What better way to promote businesses, organizations, and events than with the use of flyers? It has always been proven effective and it is also inexpensive. 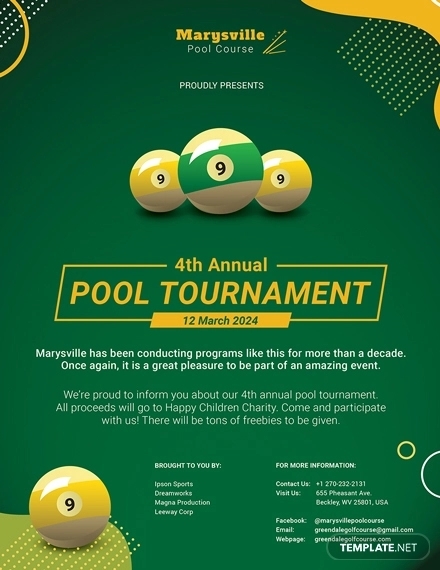 So if you are on a tight budget and this event is one way you can raise funds, then use flyers. 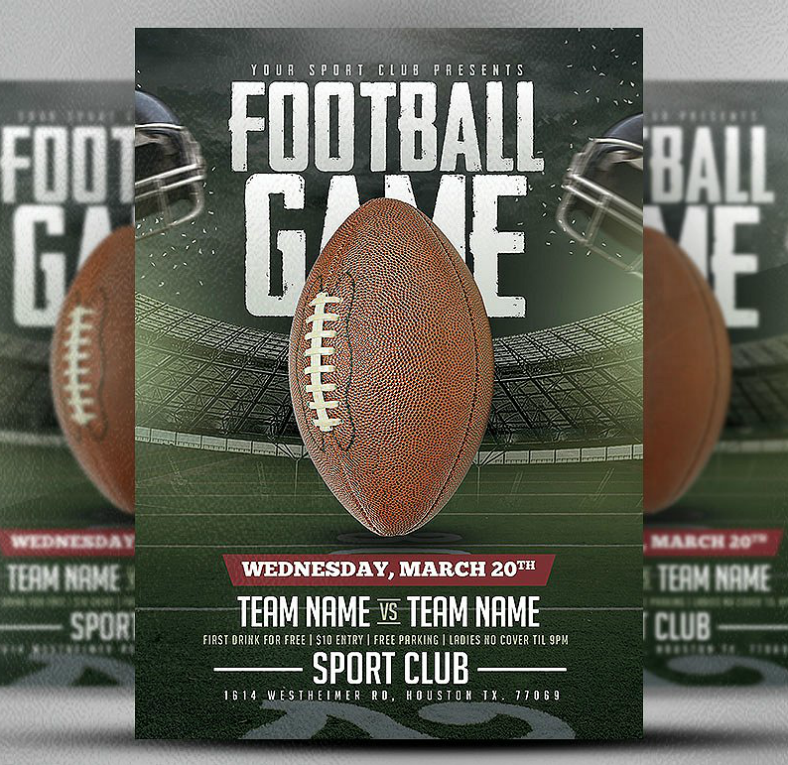 We have an entire collection of sports flyers that you can download easily, and all you need to do is pick out the most suitable design for your event. 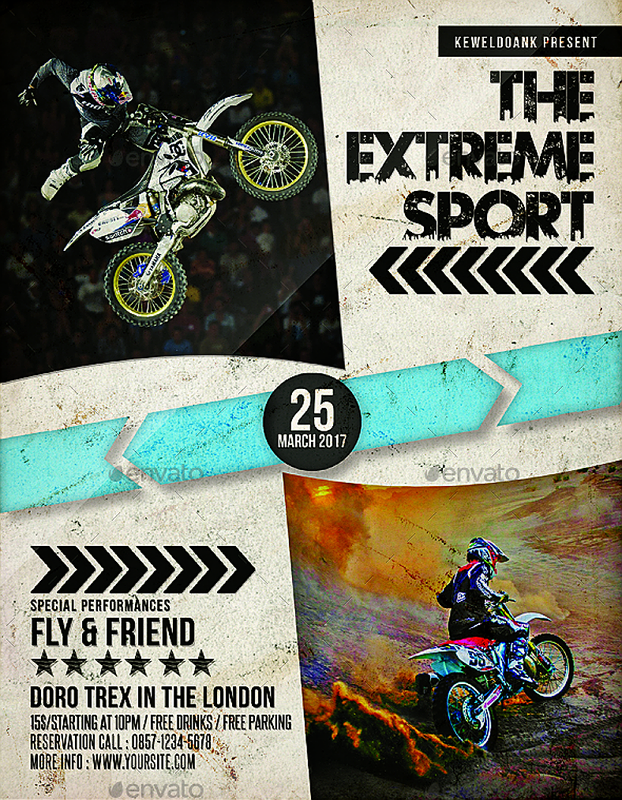 If are promoting flyers for extreme sports such as motocross racing, snowboarding, and mixed martial arts is what, then use this flyer design. The images are kept minimum and are limited to only two corners of the whole flyer while the remaining two are have the information about the event. 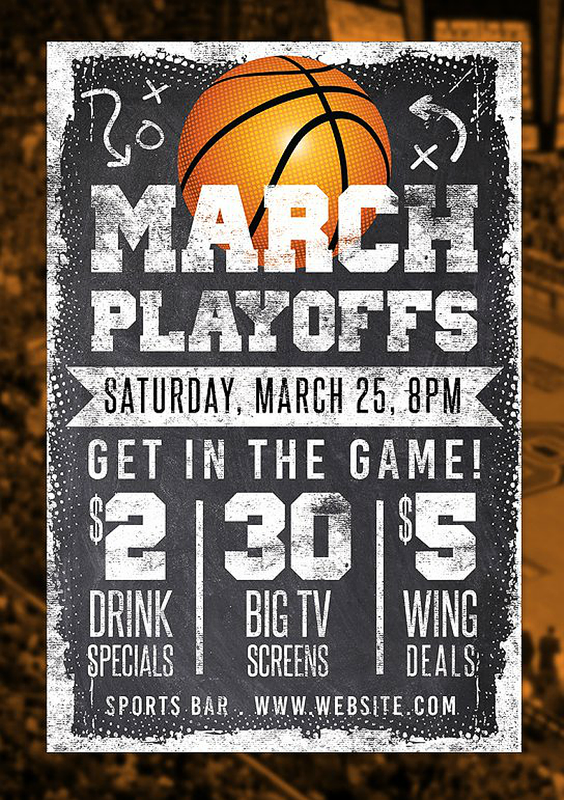 Use this flyer design to promote your basketball-related events. Viewers could either be watching an actual basketball game or simply tuning in to a live game on the television. This flyer makes use of a chalkboard design, which makes it artistic and is sure to gain prospects. 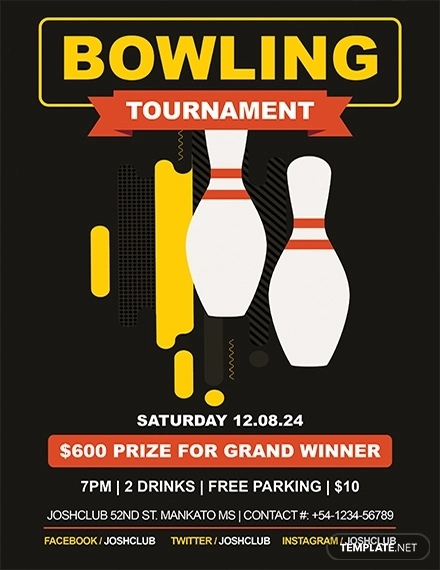 If knocking down ten pins on the alley is what you enjoy watching, then this bowling tournament flyer is what’s right for you. 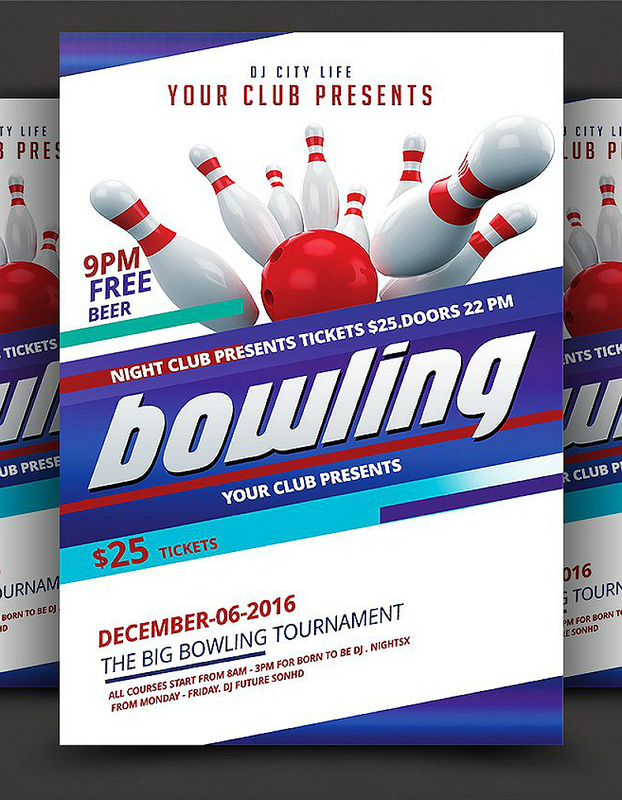 The image of the bowling ball and the pins, as well as the name of the sport are emphasized on this bowling flyer design to make the reader understand what this flyer is really all about at first glance. Golf is considered a gentleman’s game. However, it is not a cheap sport with all the membership payments and the set of golf clubs that you need to possess to be able to play the game. But if this really is your passion and you want to host a golf tournament, then you can use this flyer. 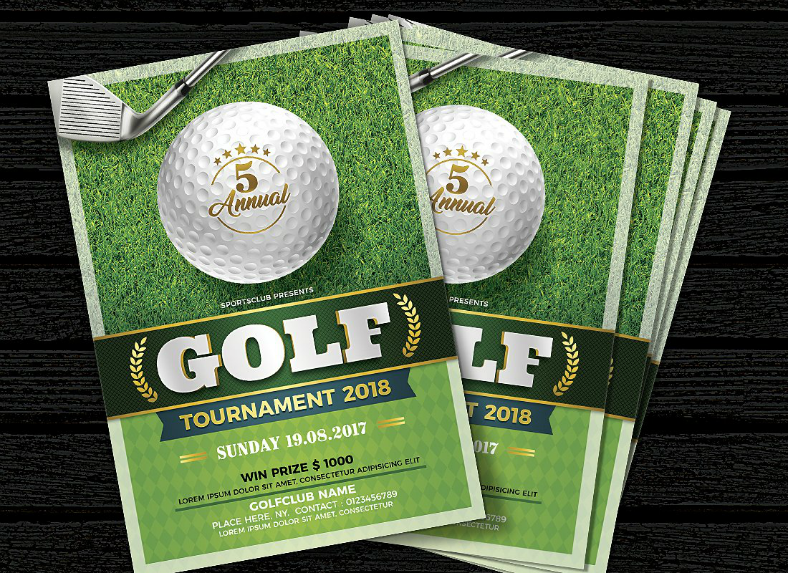 The vintage design is kept classy and simple by taking advantage of a lot of blank spaces and more emphasis is placed on the golf ball and the name of the sport in the middle portion of the flyer. 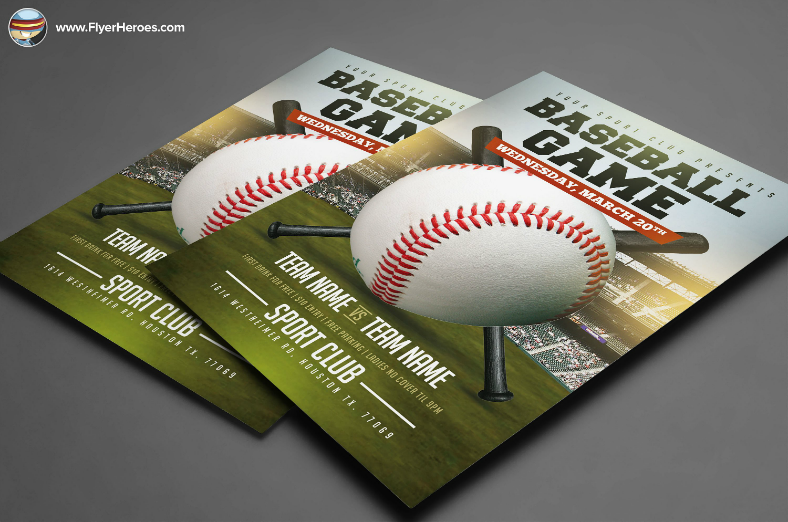 Gather an audience to a baseball game by making use of this flyer. 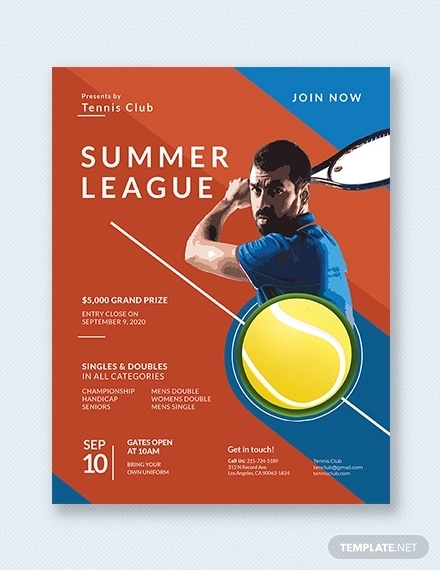 This design indicates the two teams that will be playing on the scheduled date and are symbolized by the two bats that are crossing paths in the middle of the flyer. 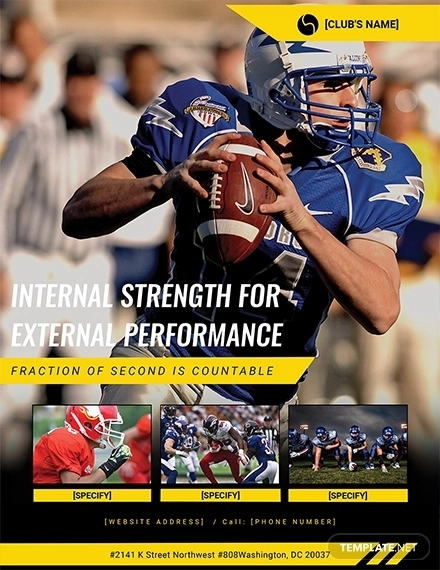 Similar to the previous flyer design, this one is intended to promote an American football game. The teams that are going head-to-head, symbolized by the two helmets on each side of the flyer, are still indicated on the bottom portion of the design. Some may refer to this sport as European football, while others refer to it simply as soccer. 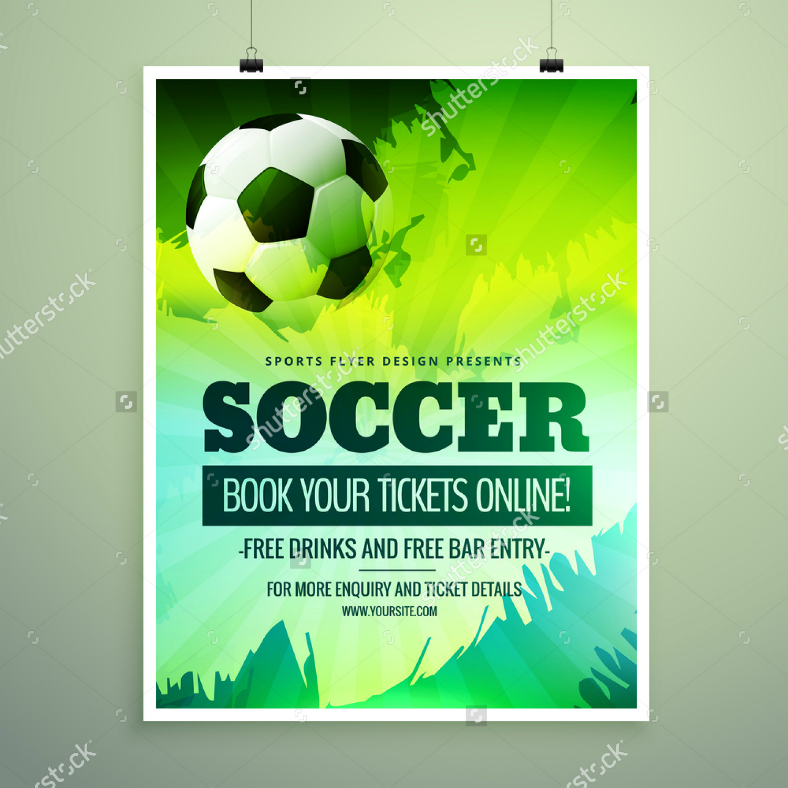 Regardless of how you call it, if you are planning on promoting a soccer event, then use this flyer design which bears abstract art for a background. 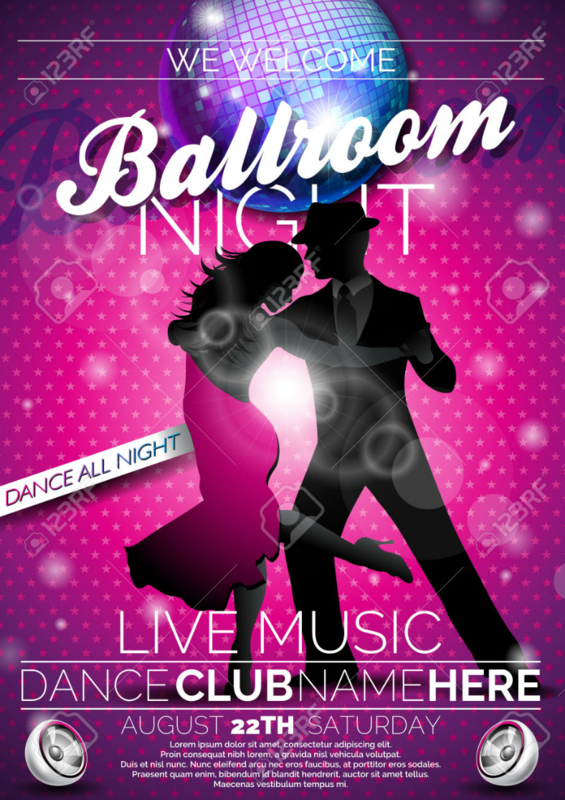 Since ballroom dancing is considered a sport nowadays, then why not use this flyer to host such event? The silhouette of the dancing pair in the middle is enough to make the reader understand what this flyer is about. Just make sure to specify that this is going to be a dance sport contest to avoid getting misinterpreted as a dance party flyer. 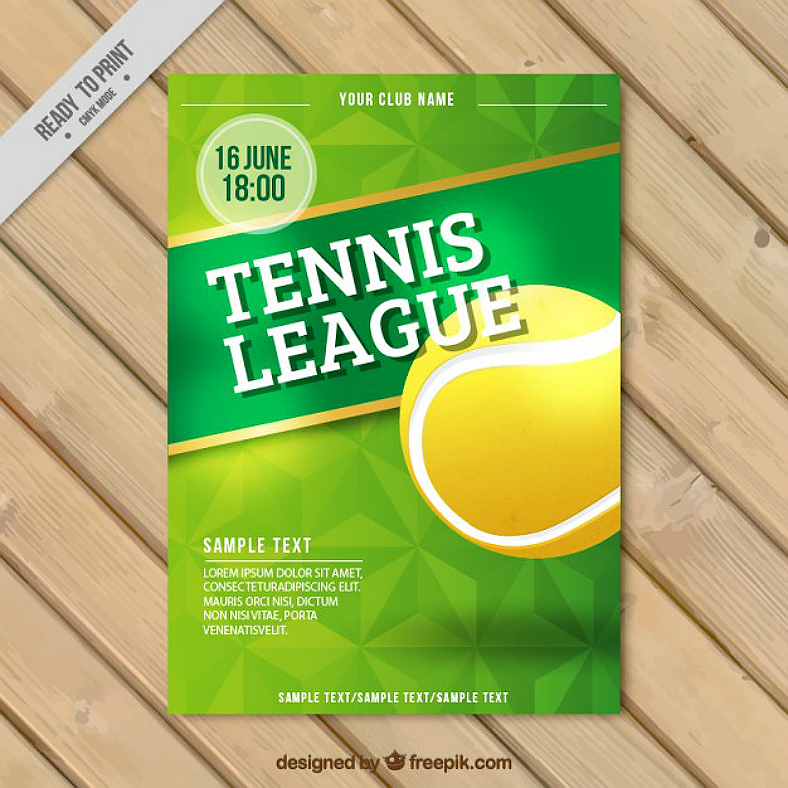 For fans of this fast-paced sport, then this tennis flyer design is perfect for you. 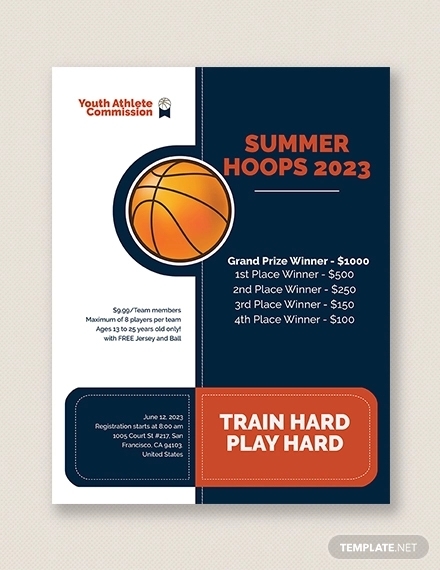 Make your design straightforward and direct to be able to convey the message on your flyer to the reader in the shortest amount of time possible. Flyers are a sure way to get your message to the general public only if you design them well and you distribute them sincerely to the people. Always have a positive image when distributing your flyers to gain the trust from the people. 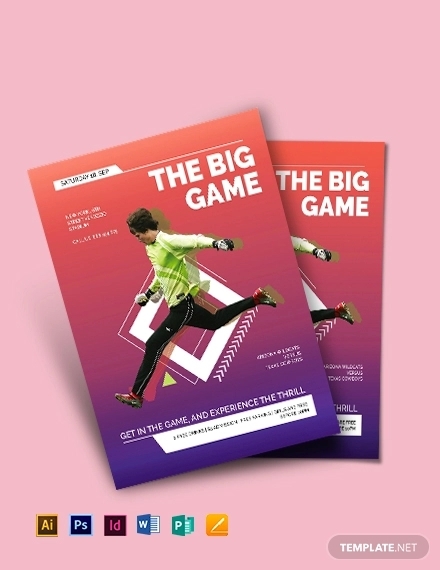 With the sports event flyers that we have shown you, we guarantee that you will be able to gather a large number of attendees and participants for your event, probably more than what you may expect. 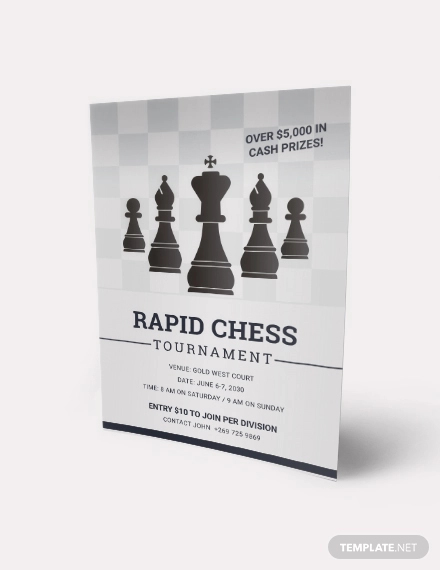 Just remember to indicate all the information that the reader needs to know about the event, and to keep the design of your flyer as appealing as possible to be able to build prospects.